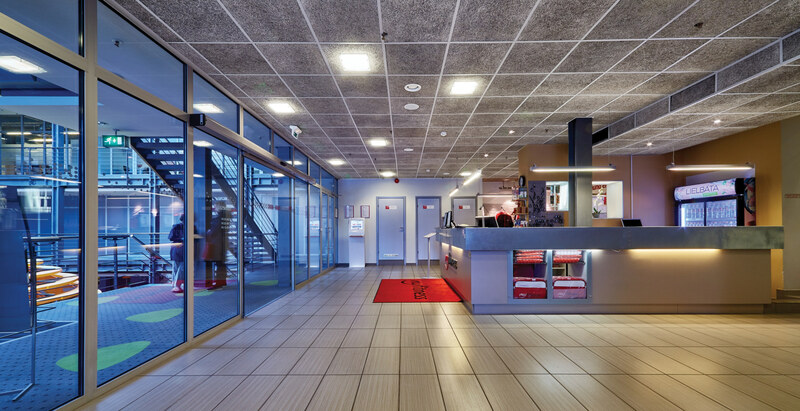 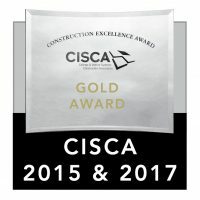 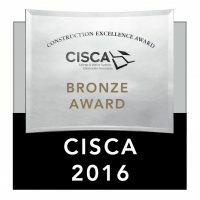 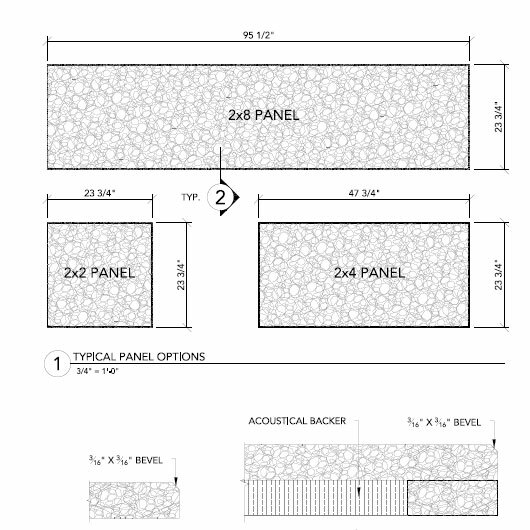 StrandTec is now a leader in the acoustical-panel products category with eco-friendliness, high-performance, and cost-effective qualities. 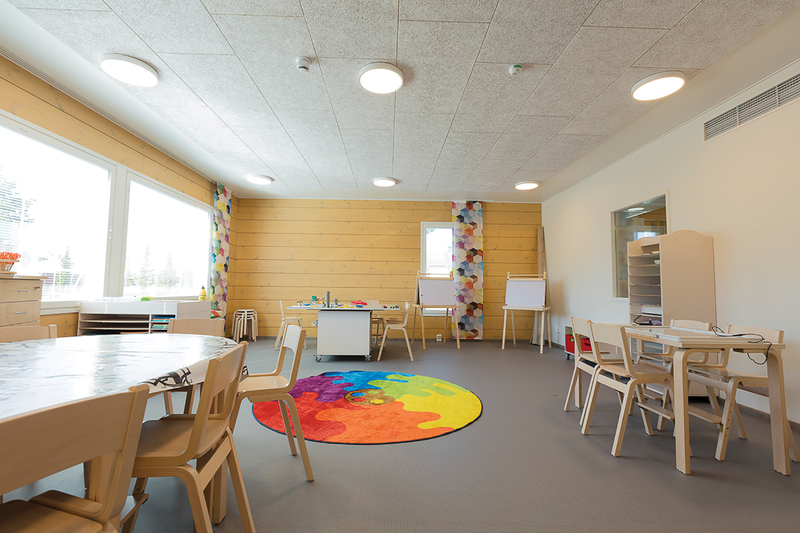 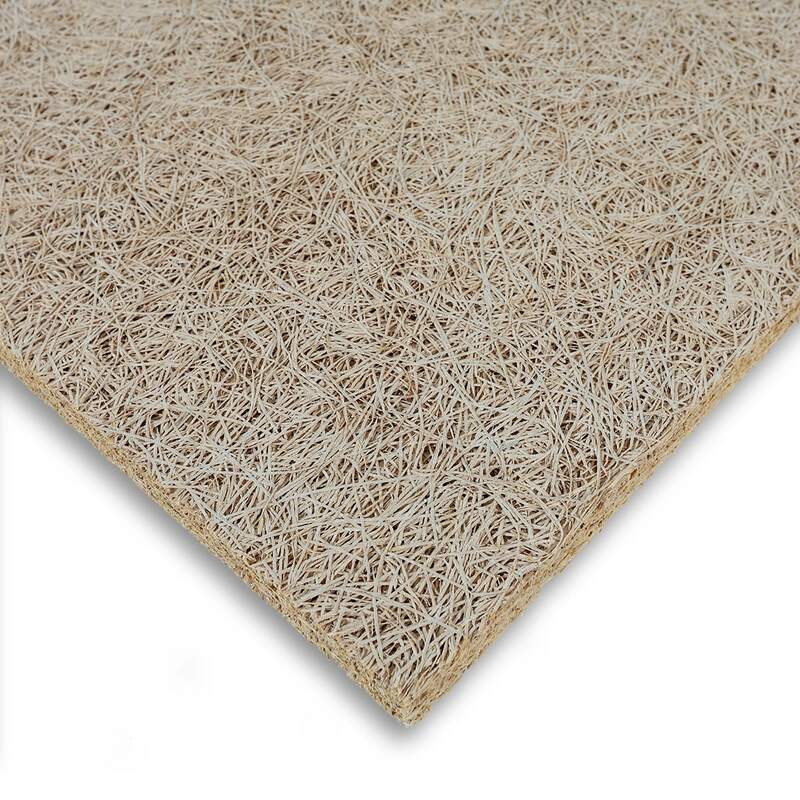 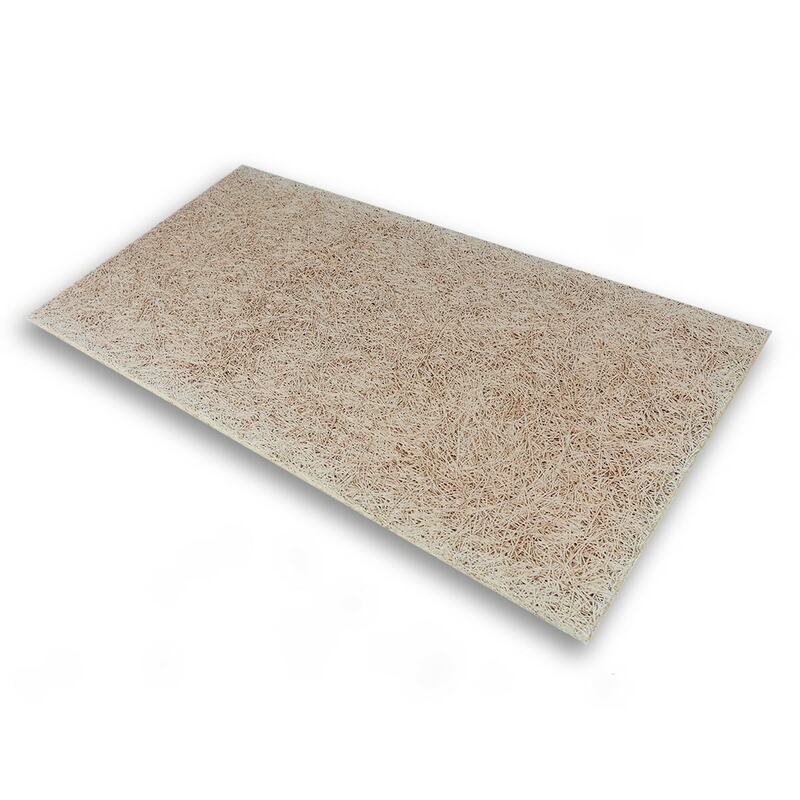 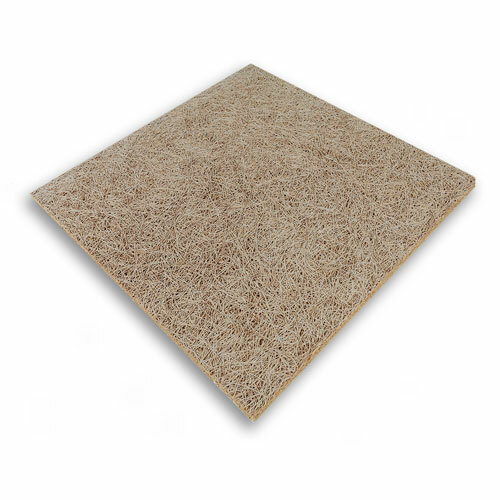 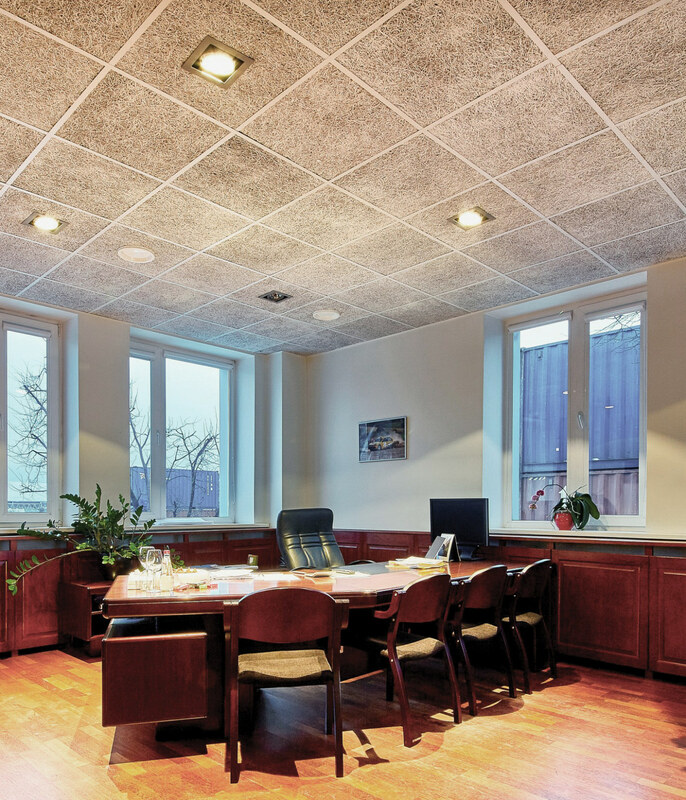 StrandTec (wood fiber) performs by absorbing sound while thermally insulating. 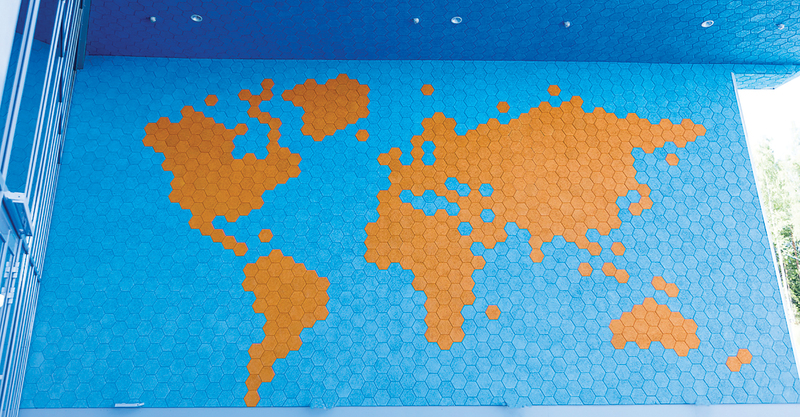 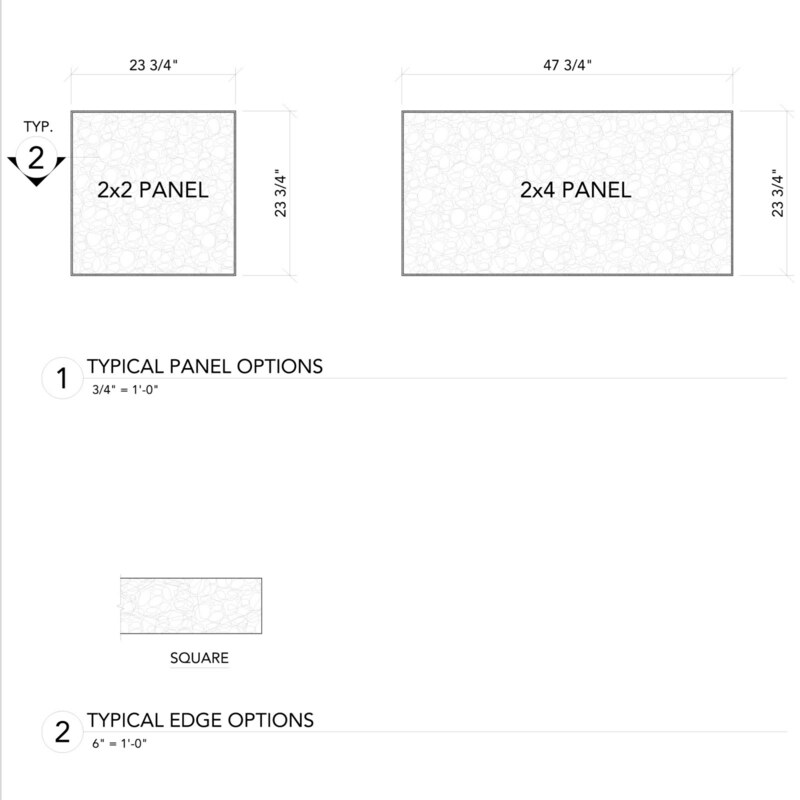 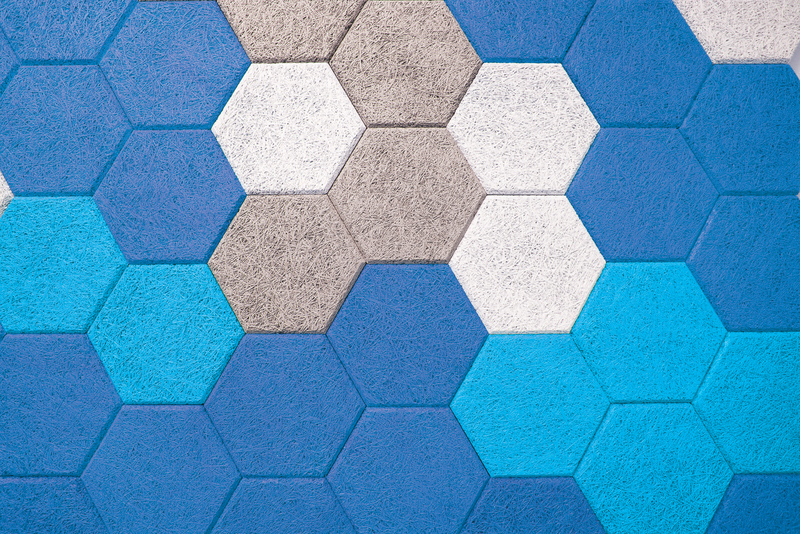 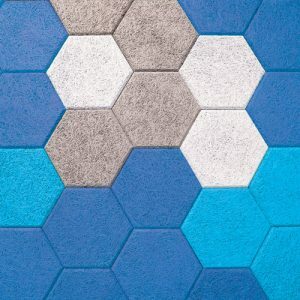 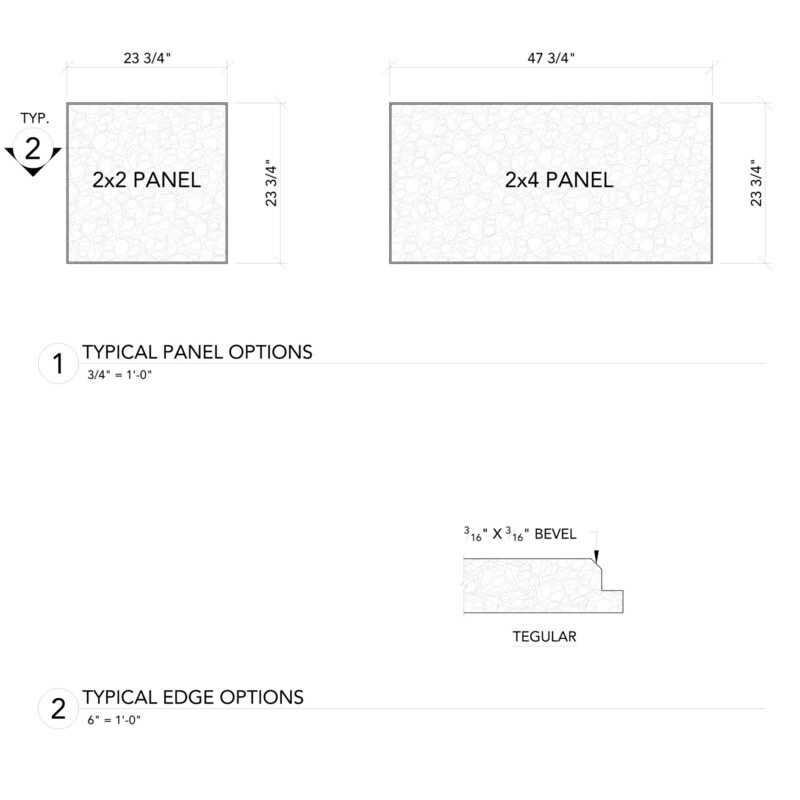 Ecologically, it is simple to produce and panels are available in size and color variations that can be designed to fit nearly any décor. 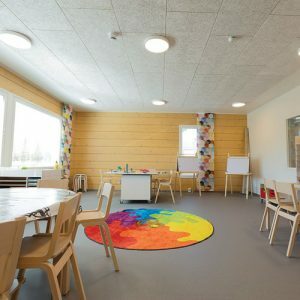 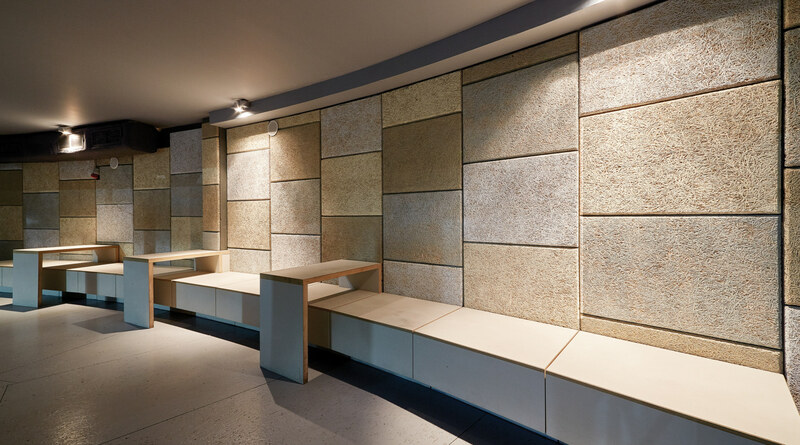 These eco-friendly wood fiber panels not only liven up a room with design variety, but they also reduce echo and reverberation by sound absorption. 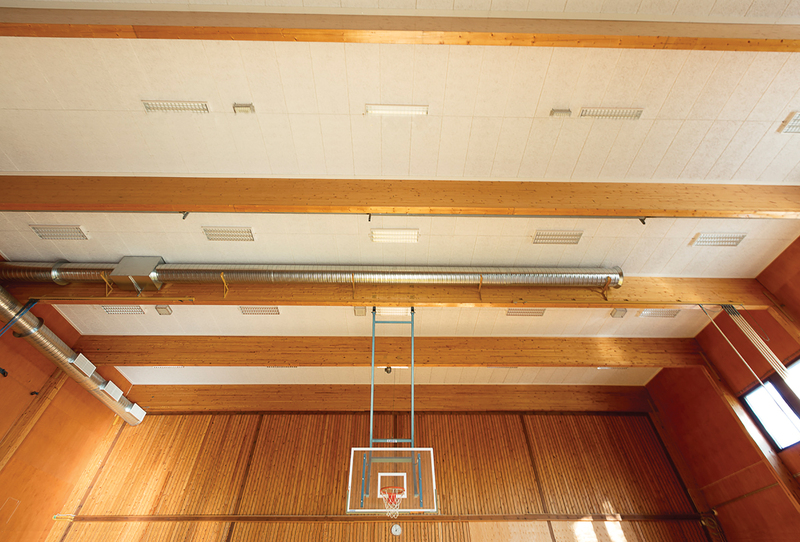 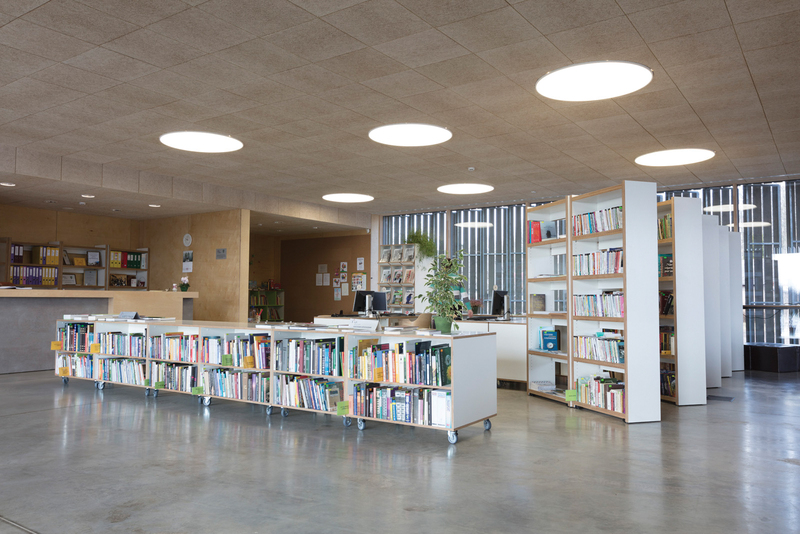 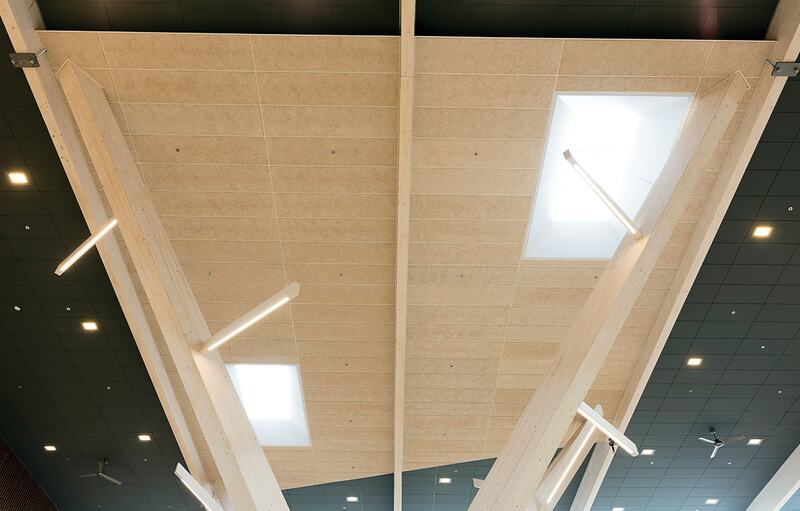 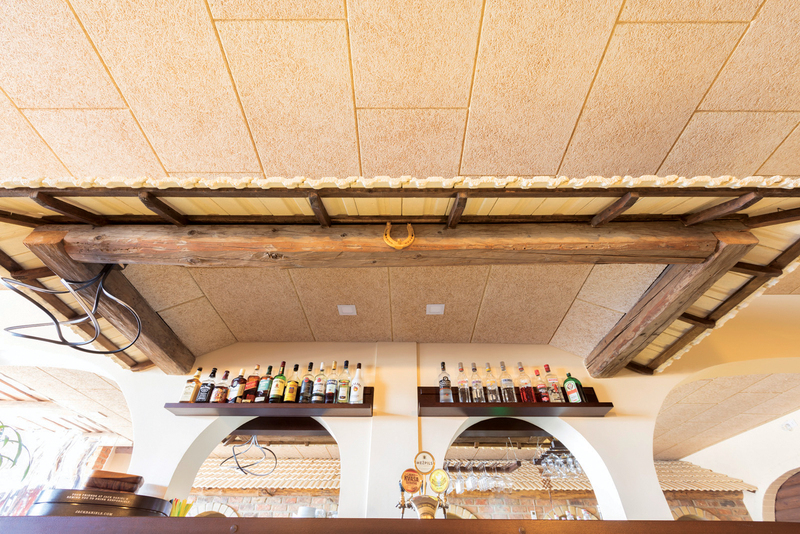 Wood fiber panels can transform the aesthetics and acoustics of any interior space. 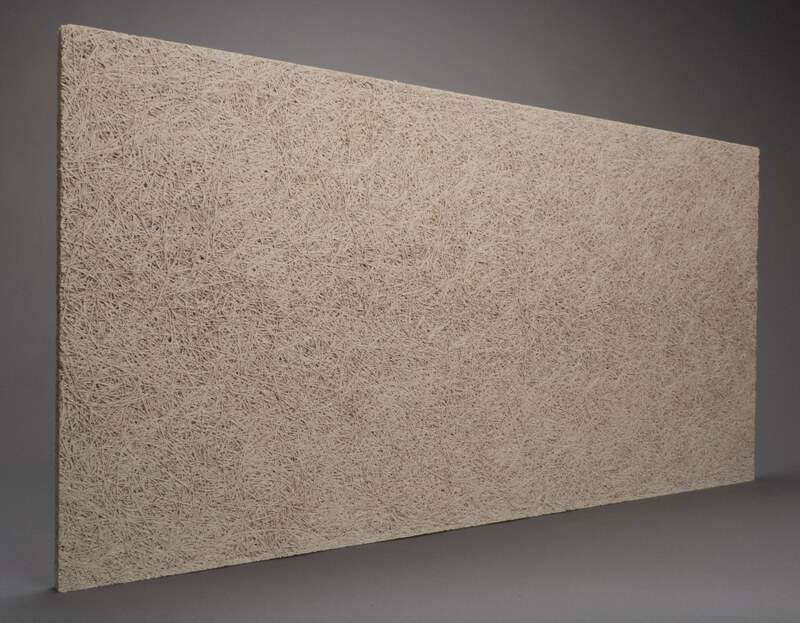 Cementitious wood fiber consists of wood fibers, Portland cement, and water. 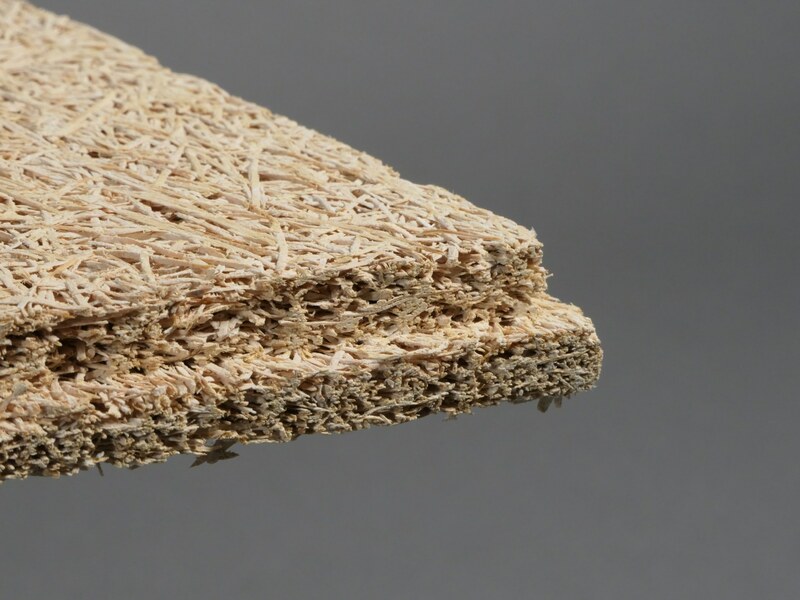 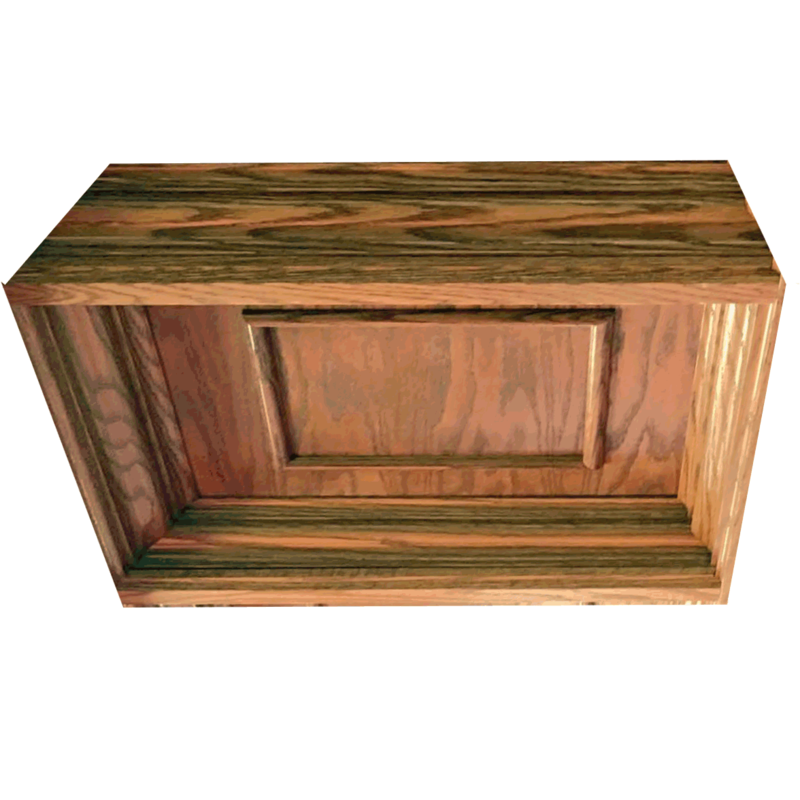 Wood fiber is a natural material and color variations are common. 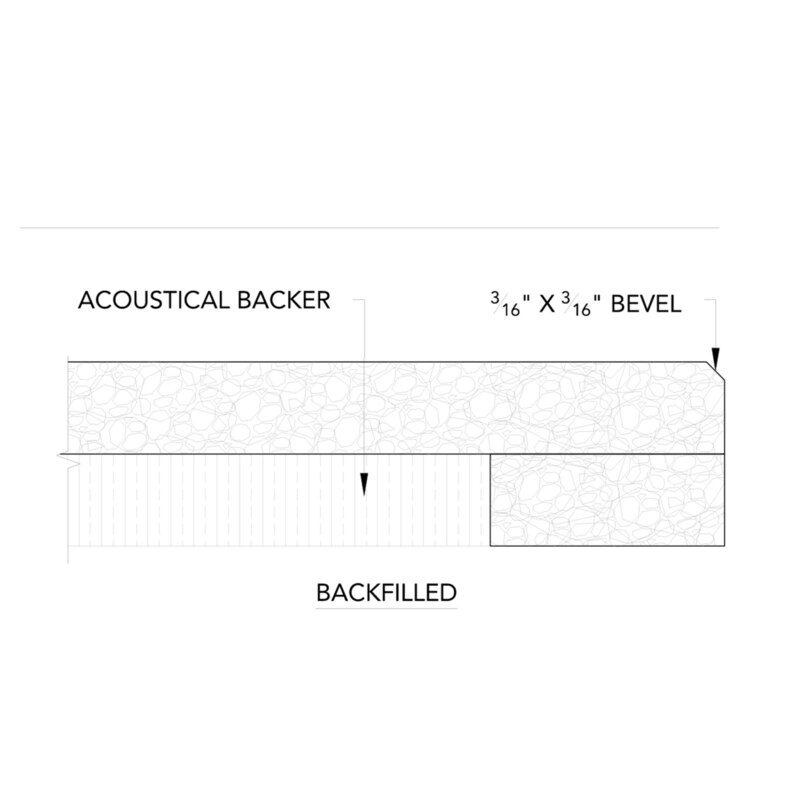 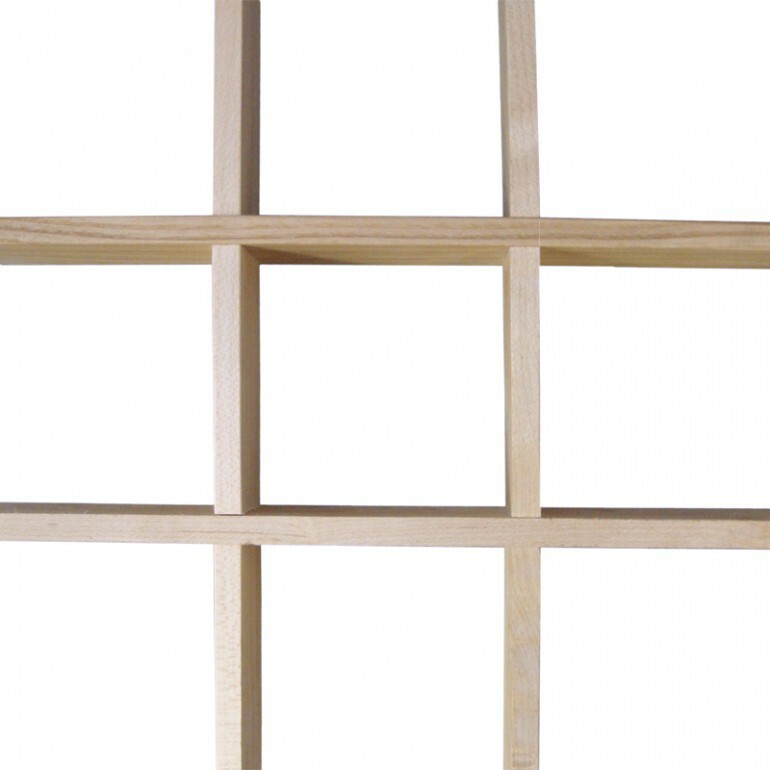 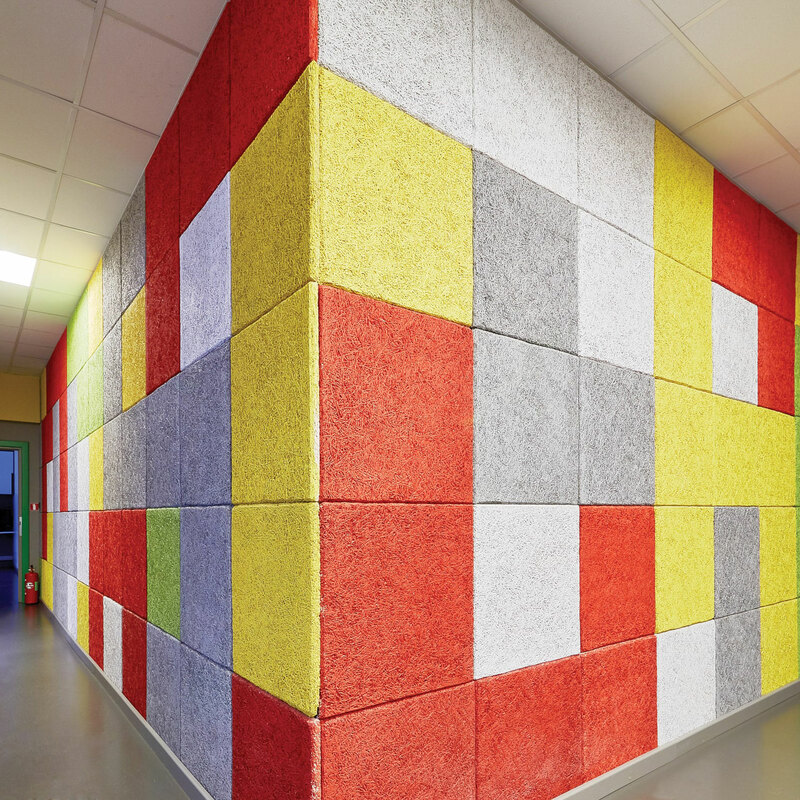 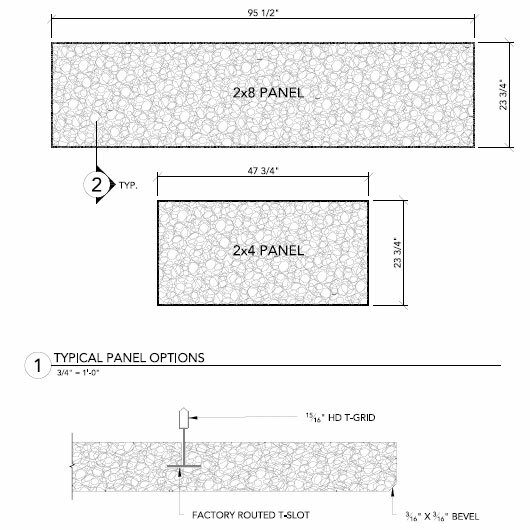 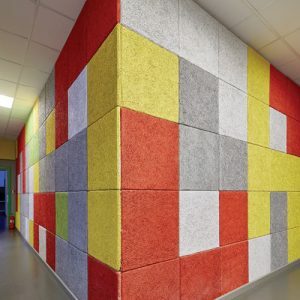 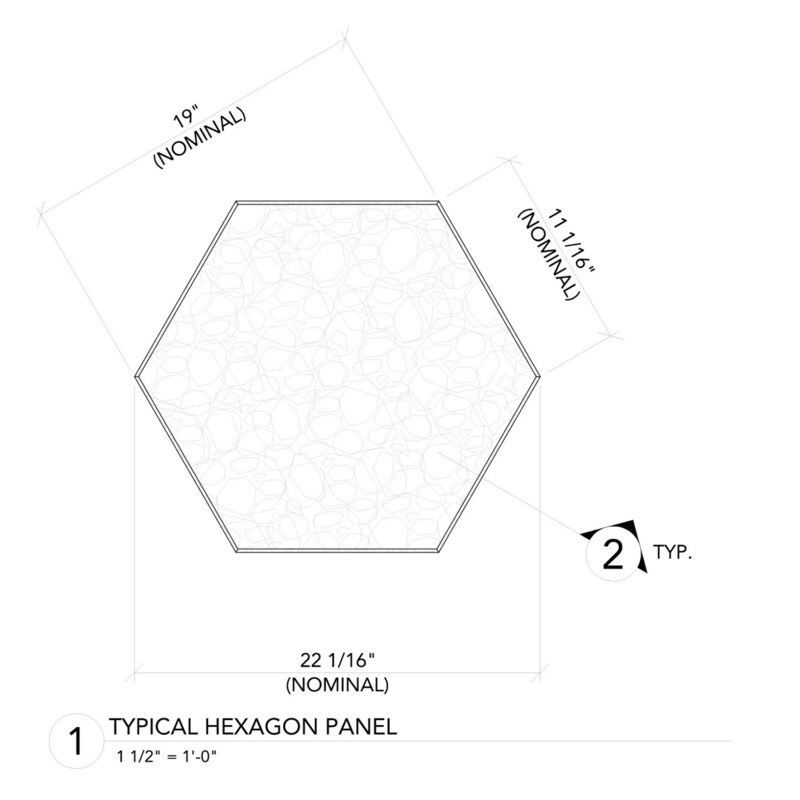 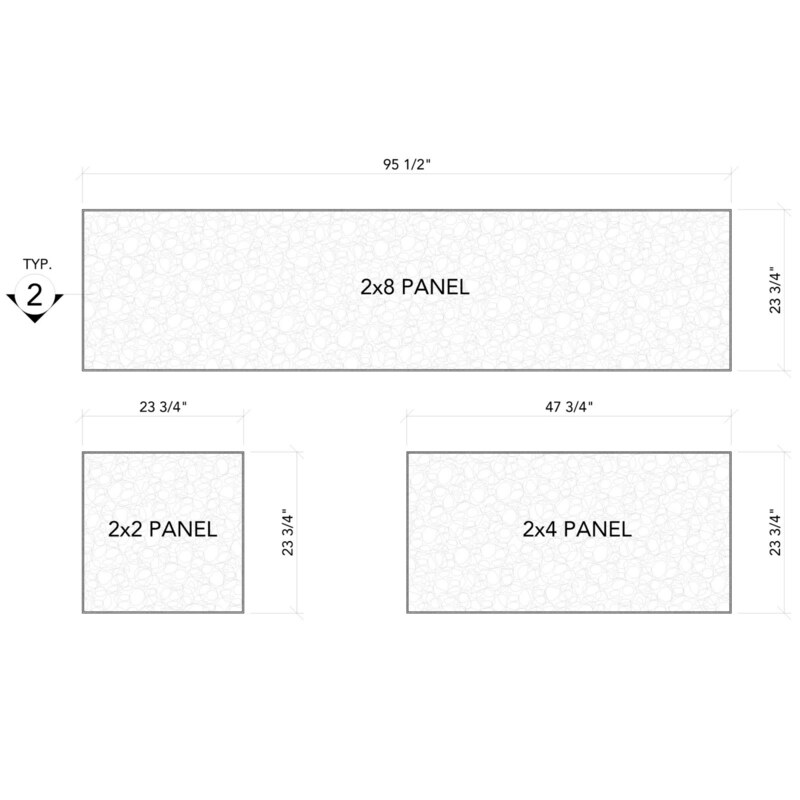 StrandTec Wall Panels are to be mechanically fastened to an approved substrate.